A press release issued by the US GPO announces that online versions of the Congressional Record Bound Edition from 1980-2001 are now available on the GovInfo.gov website. 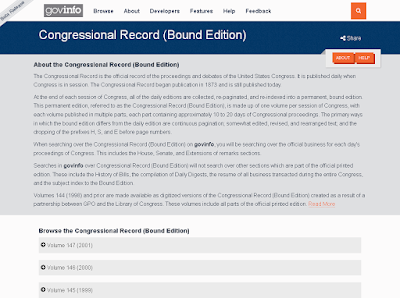 The bound edition of the Congressional Record is a re-indexed collection of daily editions of the Congressional Record, with each volume representing a session of Congress. To supplement free, online versions, the Wisconsin State Law Library provides access to a searchable database of the Congressional Record through HeinOnline to library cardholders. 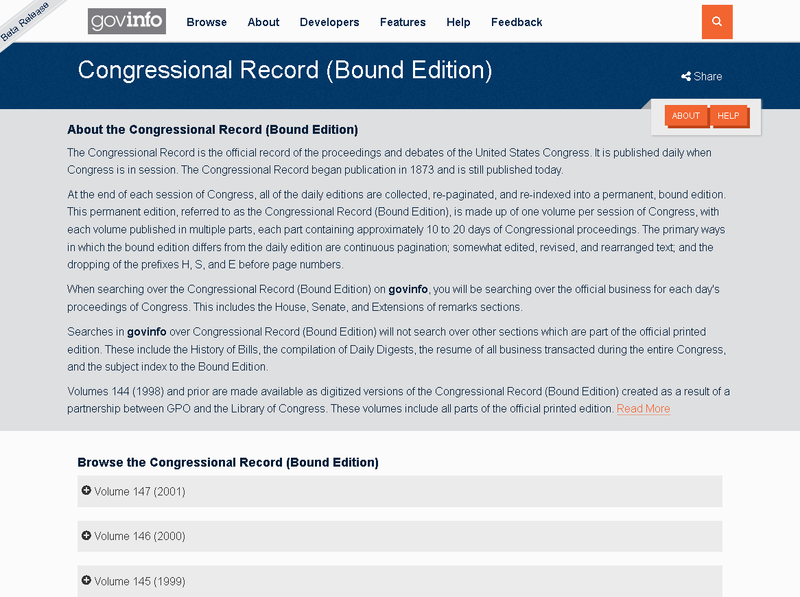 In this database, access the Congressional Record back to 1873.